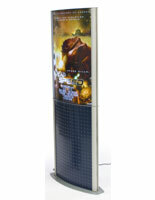 This 24x36 2-sided graphics display pylon is designed to attract attention to marketing, advertising, and wayfinding graphics in high traffic locations. 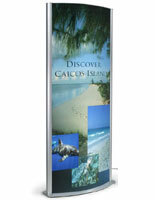 Each freestanding aluminum sign stand is 70.9" tall, with a flat base and foot levelers for stability. 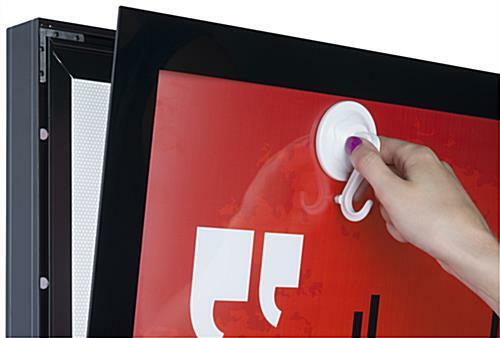 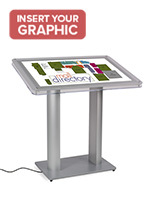 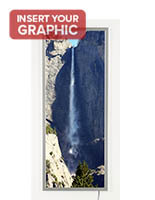 This 2-sided graphics display pylon for 24" x 36" graphics has a built-in LED lightbox that showcases posters on each side under clear protective lenses with quick-change magnetic closures. 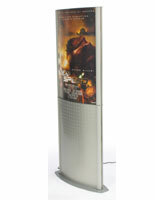 This attention-grabbing illuminated fixture is ideal for use in concourses, walkways, malls, showrooms, and lobbies. 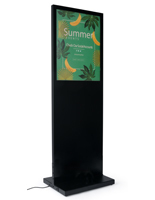 This 70.9" tall black aluminum pylon with LED backlighting for double-sided 24" x 36" poster display is a perfect way to attract customer and visitor attention to brand information, wayfinding signs, event or menu specials, and marketing or advertising graphics. 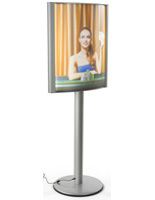 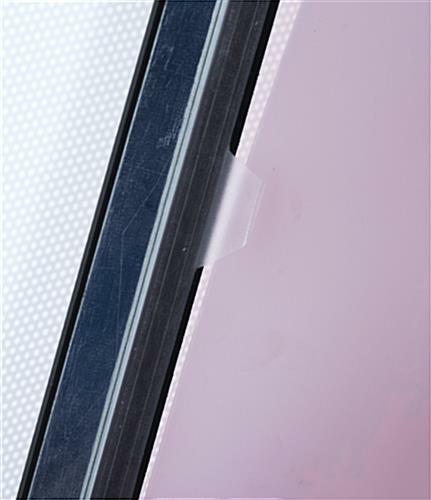 The neutral finish color and built in illlumination are designed to ensure visual focus remains on displayed signage and not the frame itself. 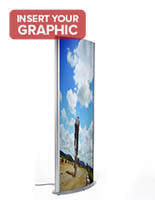 26.0" x 70.9" x 17.8"
26.0" x 2.3" x 17.8"